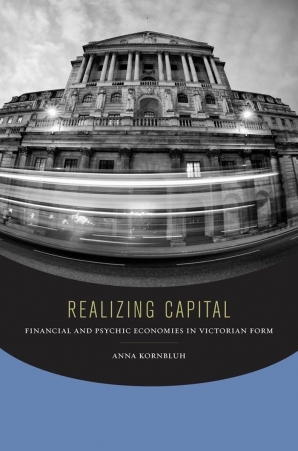 During a tumultuous period when financial speculation began rapidly to outpace industrial production and consumption, Victorian financial journalists commonly explained the instability of finance by criticizing its inherent artifice—drawing persistent attention to what they called “fictitious capital." In a shift that naturalized this artifice, this critique of fictitious capital virtually disappeared by the 1860s, being replaced by notions of fickle investor psychology and mental equilibrium encapsulated in the fascinating metaphor of “psychic economy." In close rhetorical readings of financial journalism, political economy, and the works of Dickens, Eliot, and Trollope, Kornbluh examines the psychological framing of economics, one of the nineteenth century's most enduring legacies, reminding us that the current dominant paradigm for understanding financial crisis has a history of its own. She shows how novels illuminate this displacement and ironize ideological metaphors linking psychology and economics, thus demonstrating literature's unique facility for evaluating ideas in process. Inheritors of this novelistic project, Marx and Freud each advance a critique of psychic economy that refuses to naturalize capitalism. This work, published as part of a program providing publication assistance, received financial support from the French Ministry of Foreign Affairs, the Cultural Services of the French Embassy in the United States and FACE (French American Cultural Exchange). Anna Kornbluh is Associate Professor of English at the University of Illinois, Chicago. She coordinates InterCcECT, the Inter Chicago Circle for Experimental Critical Theory, and is a founding member of the V21 Collective (Victorian Studies for the Twenty-First Century).